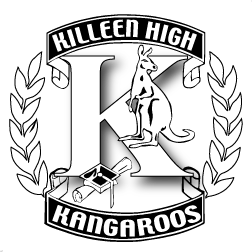 Killeen High scored a 37-point victory in the boys meet despite not winning any of the relays. The Roos won with exceptional depth, particularly in the field events. Bobby Smith led a 1-3-4 Roos showing in the shot put. His top heave of 61-3 won by more than 16 feet. Smith also dominated in the discus, winning by more than 32 feet and leading Killeen in a 1-2-4 showing. Devonte Cochran won the triple jump for Killeen. Carlos Wilson and Cochran finished 1-2 in the long jump. In the long distances, Dominik Gross topped the 3,200 field and was second in the 1,600. Cinque Sambula won the 800. Killeen finished with 156 points. Defending champ Heights was second (119). Other local teams were Copperas Cove (fourth, 79), Belton (fifth, 64) and Shoemaker (seventh, 27).